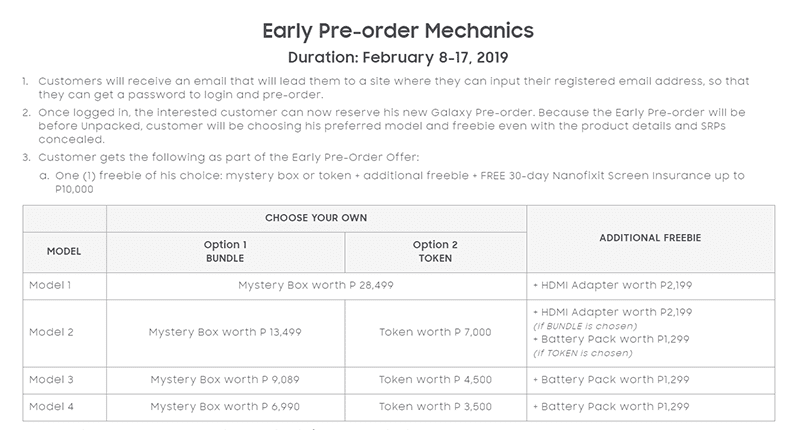 Ahead of its official launch, Samsung Philippines uploaded an early pre-order page for Galaxy S10 series. Model number 1 the limited edition model. It could be the rumored Galaxy S10+ with 1TB storage. It will come with a mystery box worth PHP 28,499 and a FREE HDMI adapter worth PHP 2,199. Model number 2 might be the regular S10+. It goes with a mystery box worth PHP 13,499 + HDMI adapter worth PHP 2,199 or a token worth PHP 7,000 + a battery pack worth PHP 1,299. Model number 3 might be the Galaxy S10. It comes with a mystery box worth PHP 9,089 or a token worth PHP 4,500. It also comes with battery pack worth PHP 1,299. Model number 4 might be the rumored S10E with a mystery box worth PHP 6,990 or a token worth 3,500. It also comes with battery pack worth PHP 1,299. To pre-order, just go to this link and enter the details needed. After that, specify the pickup location from the list of Samsung stores. 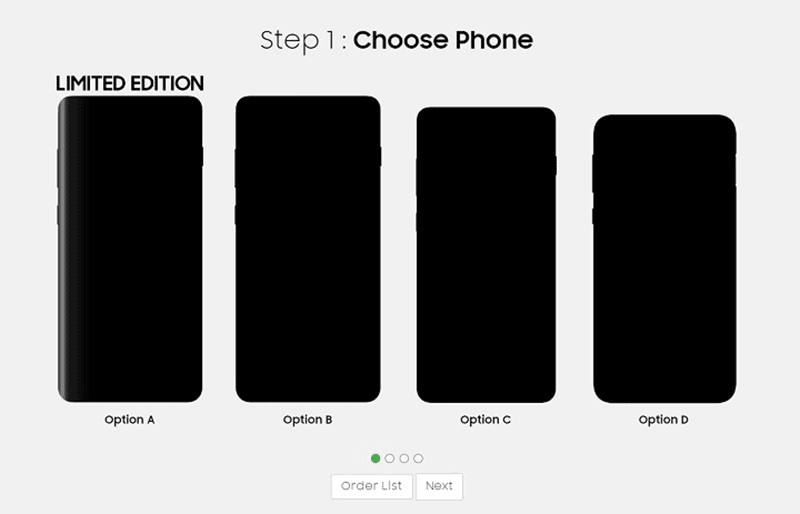 The pre-order page revealed that the limited edition S10 will be available on March 15, 2019. The entire S10 series will be unveiled on February 21, 2019 at 3AM. Stay tuned!